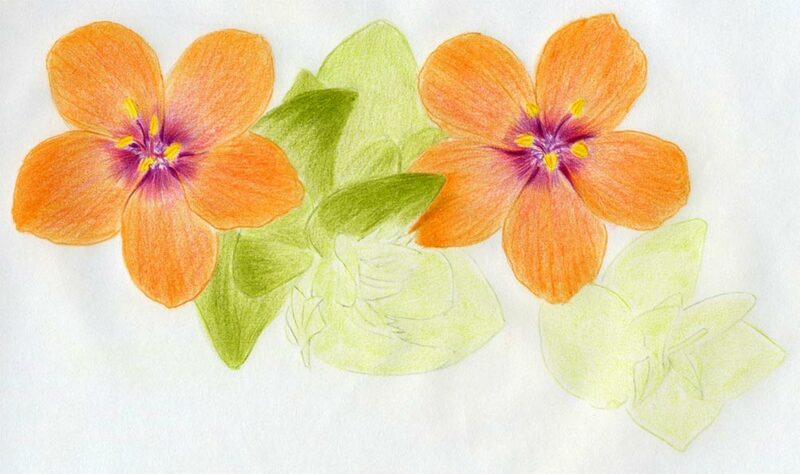 Would you like to learn to draw Scarlet Pimpernel flower? 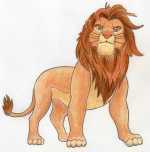 I bet not many people attempt to draw it. Only a very few people knows this tiny small flower. 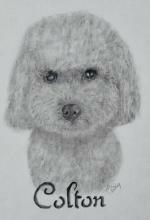 I made the drawing enlarged so don’t be confused by its unusual large size. 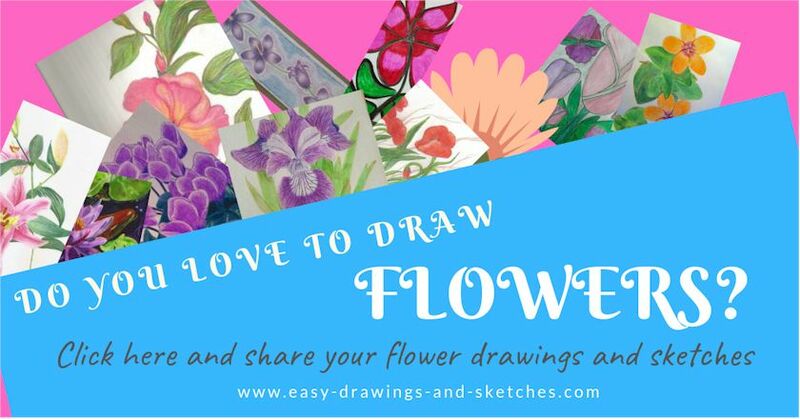 The flower is very easy to draw but leaves may look a bit complicated for drawing. I Googled this one and just sketched it directly from the monitor of my computer. 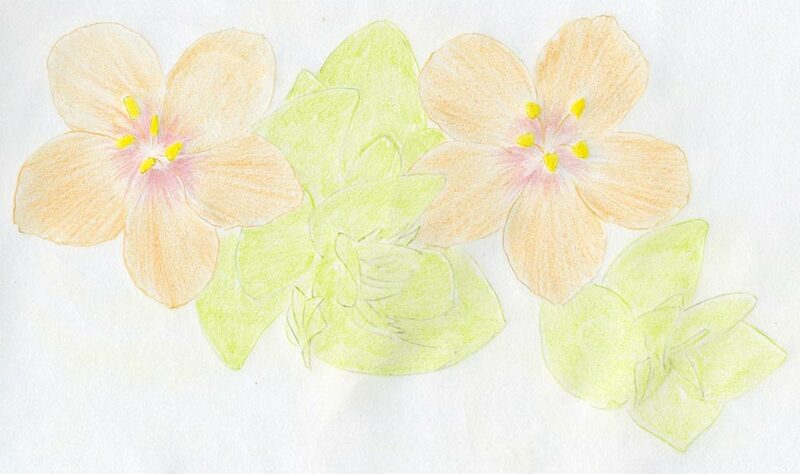 It is always the best to draw the flower outdoors – live if possible. 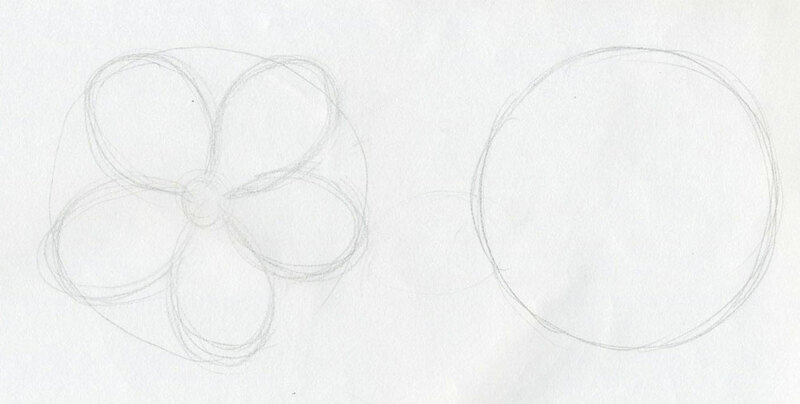 The easiest way to draw Scarlet Pimpernel is to sketch first a circle or circles if you draw more of them. Decide the size and the layout. 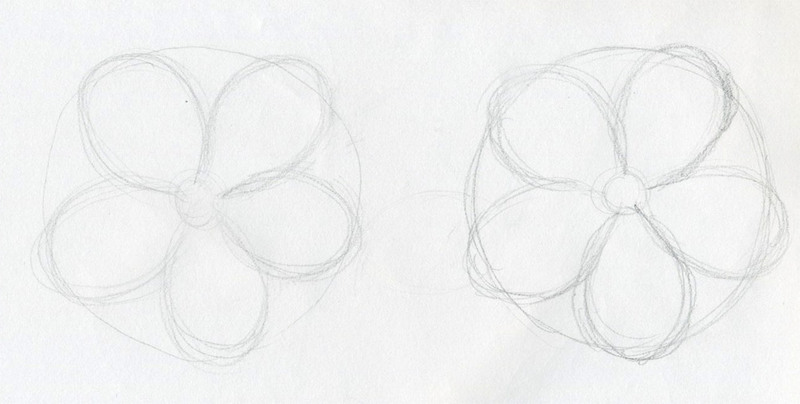 Sketch two similar circles and five petals in each as you see on this sketch. Use as many pencil sketch lines as you need. You may not get the right shape on the first try but that is perfectly OK. 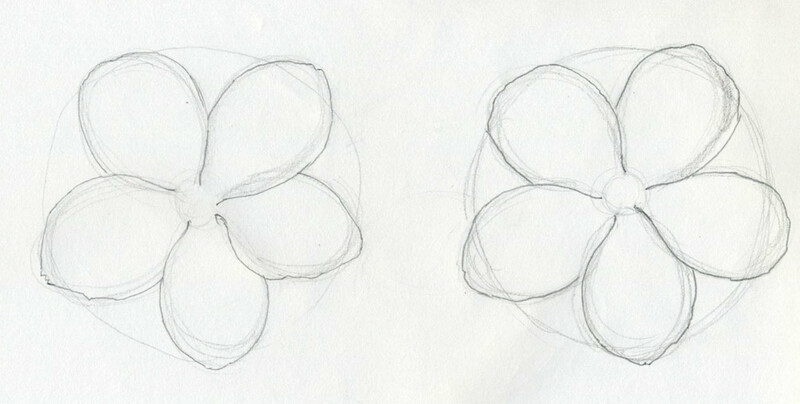 Here you decide the final shape of the petals. 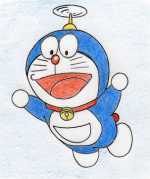 Do it in one single line and push the pencil very gently. 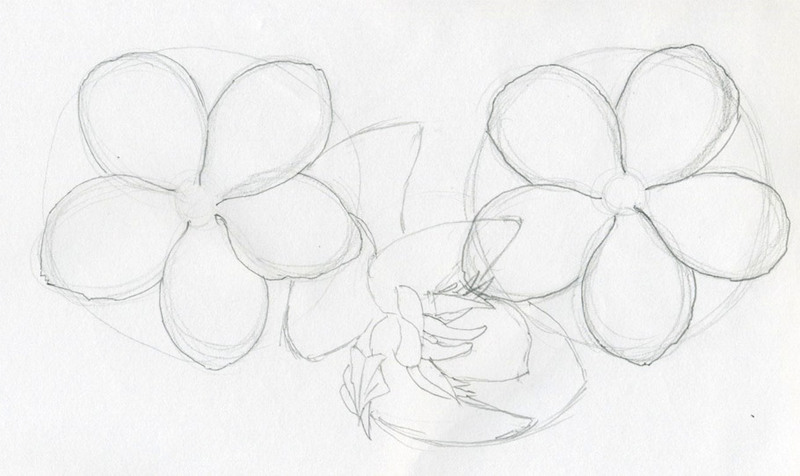 Notice that each petal is slightly covered by the adjacent one, on one of the sides. This is important! 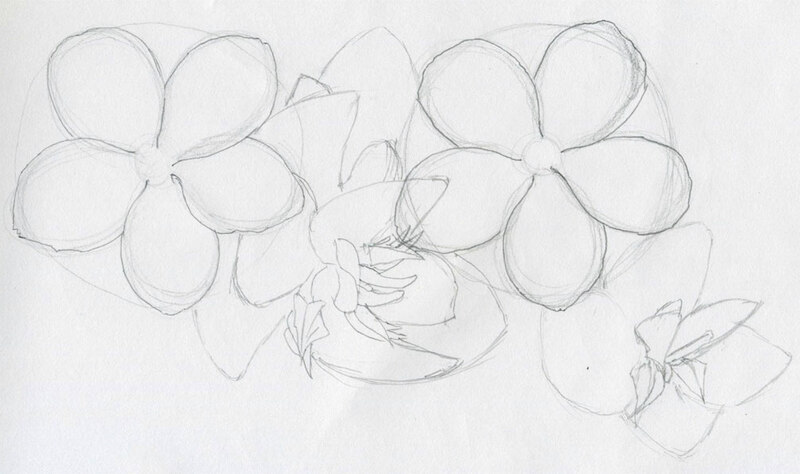 Begin to sketch the leaves. 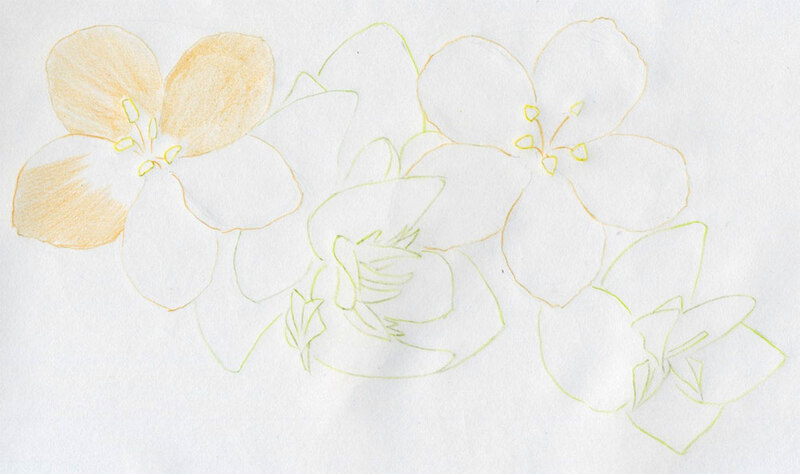 This is a “bird’s view” perspective so it may be a bit difficult to figure out how the leaves really look like. 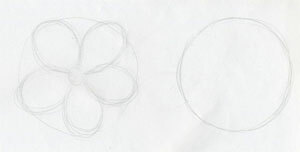 When you captured all necessary contours, take the eraser and very gently soften / weaken the pencil lines until they are just visible on the paper. 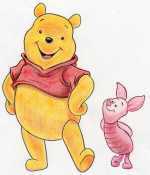 Do not erase them completely because you may lose your sketch forever. 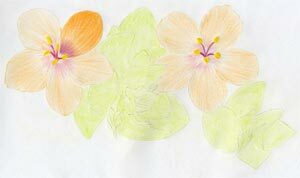 Over the weak and thin pencil lines draw the petal contours by color pencil. It is best to have a scarlet color pencil, but most likely you do not have one, so darker orange will do the job just well. 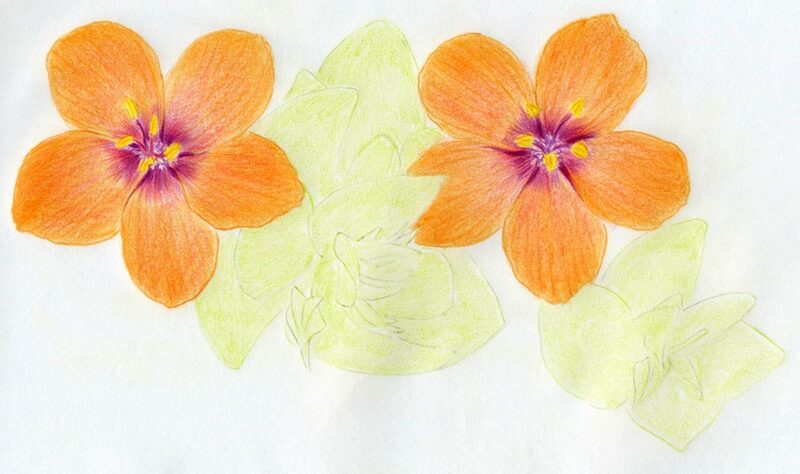 Now, you should have a Scarlet Pimpernel Flower Template ready. 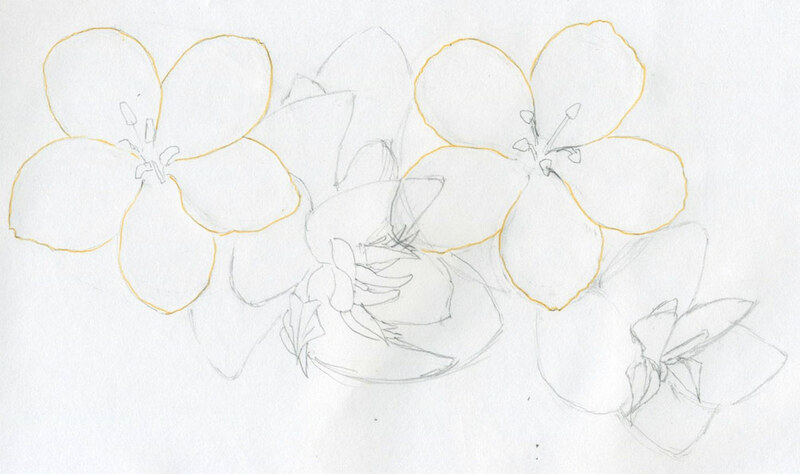 Begin to color the petals. Always make the color pencil strokes in direction along the petals not across or diagonally. That would destroy the good natural look. 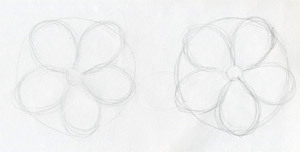 Leave the center of both flowers white (blank), because that part is of carmine color and we shall work it out in next steps. 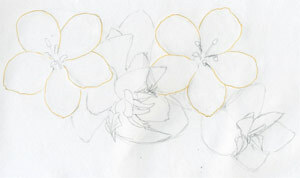 When you’re ready with the petals, continue on to work on the leaves. Color the leaves first by brighter green first. No shading yet, just flat coloring. Work out the center of each flower by color pencils. Don’t use graphite pencils. 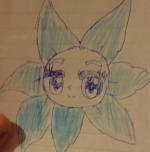 Notice that the middle part of the flower is carmine red. 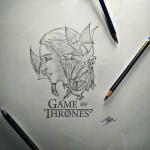 Color those parts by carmine color. 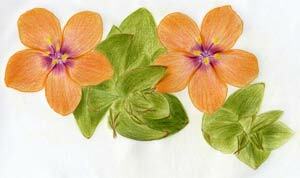 Add more tonal value on petals. 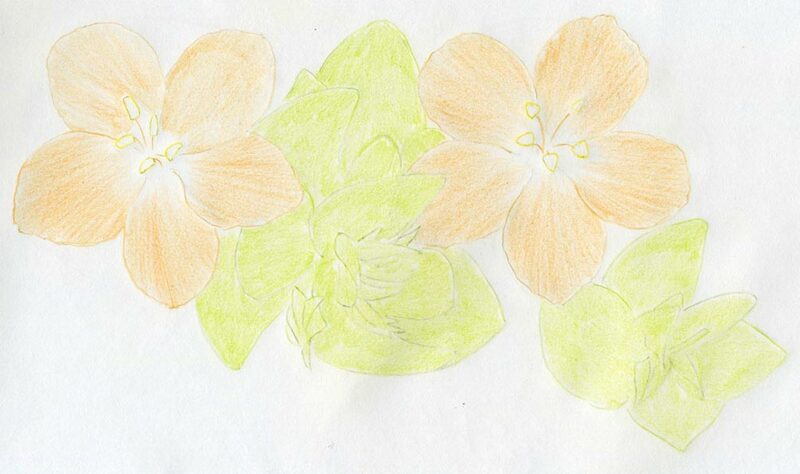 I had no scarlet color pencil available so I did it by darker orange color with combination of dark-pink color. 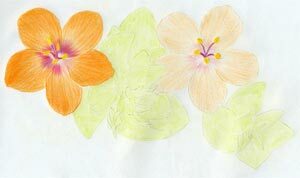 If you are not sure how the color combinations will look like, always test the colors of two and more pencils on a separate paper or on the margins of the paper you draw. This will save you a lot of time and frustration. 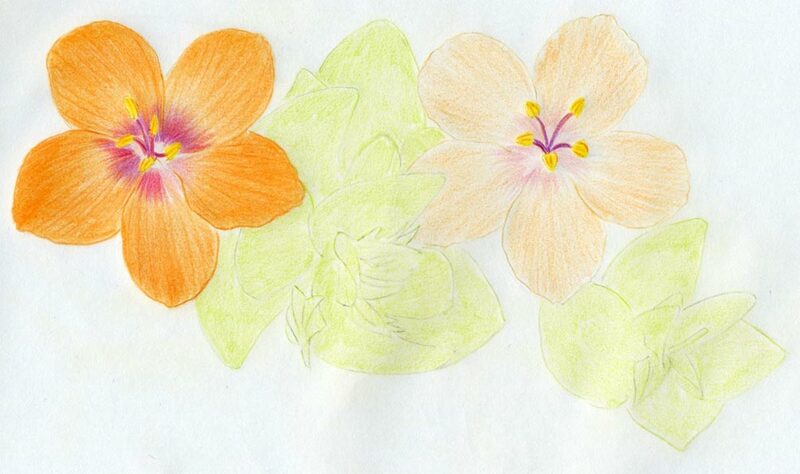 So, your Scarlet Pimpernel Flower is gradually emerging! Important note: After you fill up the petals, make several thin darker lines along each petal as you see on the picture. 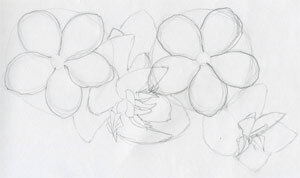 Those lines represent the veins of the petals and will make your drawing look more realistic and natural. 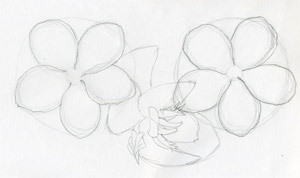 It is good to complete the flowers (petals) first before you proceed on to coloring the leaves. Take darker green color pencil and begin to fill up the leaves in similar fashion as you did on the petals, make the pencil strokes along the leaves. It’s time for final touch. Gently color the outer edges on the leaves by carmine red. That will give your Scarlet Pimpernel a natural good look.